Joyful Journeys Inc. is all about journeying through life. Whether it is through recreation, RV'ing or camping, enjoying great food, a good book, investing in real estate or just being. We hope you will share your journey with us! "I've worked at numerous jobs during my lifetime in various parts of the world. I had retired for the second time and was ready for my next adventure," she said. "I found this little ad in the paper that didn't even have a picture. I didn't know even know where Cape Breton was on a map, but I was intrigued by this ad." 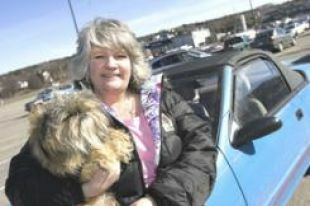 Two weeks later she packed her belongings, gathered up her dog April and was on a flight to Nova Scotia. "I bought this place and thought, well that's it, and then I will retire on the Island when I am 45," she said. "I didn't think I could buy anything else because I had borrowed to my limit."